In order to supply their body with various vitamins, many people opt for dietary supplements. As technology and science improve these supplements become more advanced. Nowadays, you can consume vitamins in some bottled water products, in the pill form, but also as gummy vitamins. The latter has become very popular lately, but how much you really know about them. This post focuses on the pros and cons of gummy vitamins. Scroll down to learn more. 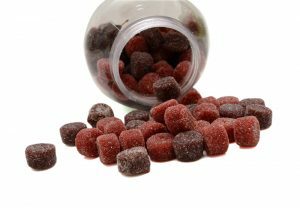 Gummy vitamins are, basically, chewable vitamins that have a similar taste and texture to gummy candies. They have become popular due to cute shapes, vibrant colors, and great taste that comes in different flavors. Many people find them convenient as they get to supply their body with much-needed vitamins easily and thereby avoid deficiencies and symptoms that come with them. 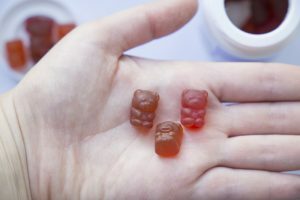 Parents buy gummy vitamins to children hoping they could be a substitute for vegetables and other vitamin-dense foods their kids don’t like to eat. Children aren’t the only ones who love gummy vitamins, and adults are fans too. Gummy vitamins are usually made of gelatin, colorings, sugar, water, and corn starch. They may include various vitamins and minerals or just individual forms such as calcium and vitamin D. What people love about them is their accessibility, you can find and buy them in health stores, drug stores, supermarkets, online, you name it. But, like everything else, gummy vitamins also have both advantages and disadvantages. We’re going to start with the benefits of gummy vitamins. They are listed below. Gummy vitamins are everything but plain and boring. They come in all sorts of colors, shapes, flavors, and textures. This versatility makes gummy vitamins appealing to children and adults. Regardless of your needs and preferences, it’s entirely possible to find ideal gummy vitamins in the stores and online. Probably the most common reason why people love gummy vitamins is their convenience. They pose as a practical way to get the required amount of various vitamins, particularly if a person’s diet doesn’t deliver these much-needed nutrients. You just take these gummy candy-looking vitamins, and that’s it. This is particularly useful for parents of picky eaters. Children are able to consume vitamins in a way they like the most. With the rise of unhealthy food options, people are gradually becoming deficient in various vitamins and minerals. Our body is unable to function properly without these nutrients. However, junk food doesn’t really introduce a vast selection of vitamins and minerals, and we already know that. Therefore, eating gummy vitamins can be a practical way to prevent nutritional deficiencies. As mentioned above, some products contain a single vitamin only, e.g. vitamin C or vitamin D, but others deliver multiple vitamins and minerals. Some people find vitamins in pill form inconvenient due to the fact they can’t swallow them properly. Gummy vitamins allow you to avoid this hassle. You just chew them up, and that’s it, problem solved. There is no evidence that one form of the vitamin is superior to another. Efficacy of gummy vitamins is not necessarily weaker than that of pills or some other forms of vitamin consumption. This is important to bear in mind because we’re quick to render something ineffective just because it comes in an unusual form. Besides convenient benefits, gummy vitamins also have some disadvantages. Let’s see what they are. The primary concern regarding gummy vitamins is that most products of this kind on the market are made with added sugar. In fact, sugar is one of the reasons they’re delicious. But, eating too much can introduce way more sugar to the body than recommended for the day. Calories from sugar tend to add up quickly so if you also eat chocolate, sweets, and other sources of sugar in addition to gummy vitamins it can be too much. Some gummy vitamins may feature “sugar-free” on the label, but it doesn’t necessarily mean they contain no sugar at all. Instead, they contain sugar alcohols which are listed under total carbs on the label. Excessive intake of sugar alcohols leads to diarrhea, bloating, nausea, and other uncomfortable symptoms. FDA does not regulate the manufacturing process of dietary supplements and vitamins, including gummy vitamins. Therefore, a brand may list the entirely different amount of nutrient on the label then it’s actually present in the gummy vitamin itself. In fact, reports show that a vast majority of gummy vitamins on the market do not have the same amounts of vitamins and minerals as listed on the label. Our body needs a certain amount of various nutrients each day. But, gummy vitamins are so tasty that some people and children may end up eating more than recommended. This could lead to mineral toxicity which can harm your body. When buying gummy vitamins make sure you check the label, particularly if you’re vegetarian or vegan. Many gummy vitamins are made from gelatin which is produced from the skin, tendons, and even bones of some animals. Gummy vitamins may be a convenient way to consume enough vitamins and minerals during the day. However, you shouldn’t eat too much due to sugars and sugar alcohols. You need to bear in mind that a healthy diet should be the primary source of vitamins and children need to adopt healthy eating habits.